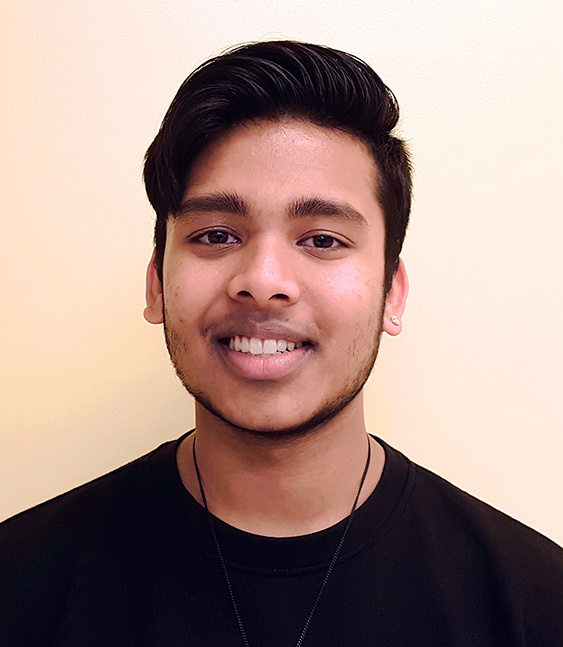 TANVEER ALAM: Born and raised in Montreal, Tanveer started his dance training in Kathak, an Indian classical dance form under Sudeshna Maulik and guru Sandhya Desai. He then trained at l’Option Danse du Collège Jean Eudes and L’Espace du mouvement in ballet and contemporary. In September 2016, Tanveer joined the School of Toronto Dance Theatre and is currently in his second year. Tanveer has also attended various workshops, and explored the different facets of Kathak with masters such as Pandit Birju Maharaj, Padmabhushan Kumudini Lakhia, and Smt. Nahid Siddiqui. Tanveer has performed professionally across Canada, and has had the opportunity of performing in Pandit Birju Maharaj’s “Romeo and Juliet”, Danny Grossman and Rina Singha’s “Storytellers”, and presenting his work at the New Blue Emerging Dance Festival and Festival Accès Asie. A passionate and charismatic dancer, his performances demonstrate his love for dance. ISHWARIA CHANDRU is a Toronto-based dancer and musician who has been performing since the age of three. She has been learning Bharatanatyam under the guidance of her mother, Guru Nirainjana Chandru. Ishwaria has presented lecture demonstrations and workshops for the Ontario Art Gallery (AGO) and the Aga Khan Museum and has created a program with her mother for the Canadian Senior Tamil’s Association where she choreographs dance routines for seniors. Moreover, Ishwaria has been performing with the Janak Khendry Dance company from 2012 and has taken part in his productions “Kaal-Time” (2012), “Paradise Lost” (2013), and “Women Liberated” (2015). She has toured to the Middle East and India with the Janak Khendry Dance Company in 2013. 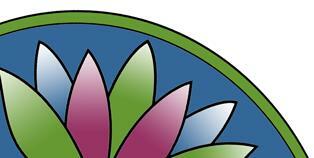 Ishwaria also regularly presents recitals in the U.K. and India. This year, she has sung a track for director Selva Raghavan’s movie, “Vanangaamudi”, under the musical direction of D. Imman. Presently, Ishwaria teaches at Kalaimanram Academy of Fine Arts and Yoga and is a final year student at York University pursuing a degree in World Dance Studies. NAYANEE HENRY-NOEL is a dedicated Bharatanatyam dancer, trained in the Kalakshetra style for the past 17 years. Nayanee started learning Bharatanatyam when she was three years under the guidance of Guru Dr. Alakananda Nath of Sri Laasya Kalakendra and performed her Arangetram in 2011. Currently she is furthering her training under the guidance of Smt. Nirmala Nagarajan, Associate Professor, Kalakshetra Foundation, Chennai. She is also associated with Niro Dance Creations since 2015. As a young emerging artist, she has been sponsored by organizations to perform many solo performances, group performances at leading venues in Canada, numerous fund-raisers, dance dramas and cultural events. To name a few - Taste of the Hill in Richmond Hill, Canada 150 years in Ottawa, Yagnaseni, Shivanai Kanda Nandhanar, fundraising performance for Harvard University. Nayanee is in her fourth year at The University of Toronto pursuing a Double Major in Neuroscience and Health Studies. KALAISAN KALAICHELVAN is a Bharatanatyam performer based in Toronto, Canada. He began his training in the Vazhuvoor bani with the guidance of his guru, Smt. Nirainjana Chandru. Kalaisan is currently under the the tutelage of Guru A. Lakshmanaswamy in Chennai and receives further guidance from Smt. Nithyakalyani Vaidyanathan. He returns to India regularly for training and performance. Kalaisan has performed extensively and been recognized in Canada, the USA and Europe at various festivals and venues. 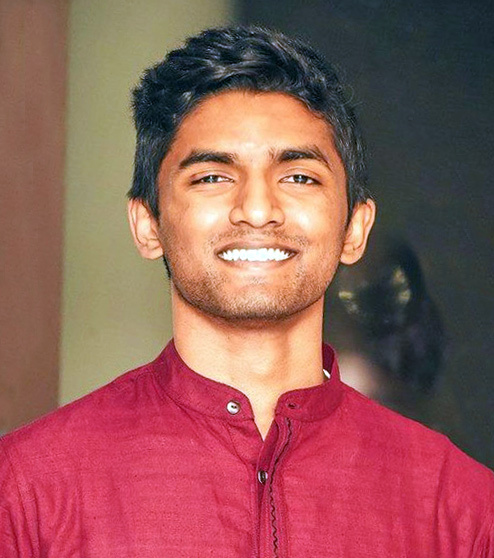 He won the first place grand prize and was awarded the “Vazhuvoor Ramaiah Pilliai Endowment” at the Cleveland Thyagaraja Aradhana in its 40th year, conducted in 2017. Kalaisan has had the honour of performing with the Janak Khendry Dance Company in productions such as PARADISE LOST and GANGA. He has also had the privilege of working with many reputable troupes, dancers and choreographers such as Sri Janak Khendry, Smt. Menaka Thakkar, Smt. Lata Pada, Smt. Anita Guha and Sri Kishore Mosalikanti. As a young emerging artist, Kalaisan strives to learn and further grasp the nuances of Bharatanatyam and spiritually abide by its doctrine. BIPLOB KAR started his dance training in three classical styles with the most important dance teachers of Bangladesh; Kathak with Guru Jinath Jahan, Manipuri with Laila Hasan and Bharatanatyam with Belayath Hussein. In 1992 he was selected by the Ministry of Culture of Bangladesh to study Kathak dance at the most prestigious Kathak Kendra in New Delhi, India with a scholarship from the government of India to study with Pandit Birju Maharaj, Guru Reba Bidharthee and Guru Vashwati Mishra. He received his degree in 1996. He is also a recipient of Visharad degree in Kathak with Honours from Bhat Khande Sangeet Vidyapith in Luchnow. In 2001 he received a scholarship from ITI to study ballet in Vienna, Austria. He is a trained musician also and has performed in Europe, America, India and Canada. He has been member of the JANAK KHENDRY DANCE COMPANY since 2004 and recently performed in the company’s GANGA and KAAL-TIME as well as touring to the Middle East and India in 2013. HARIKISHAN S NAIR Harikishan Nair is the Artistic Director of Regatta Kala Kendra situated in Toronto. An accomplished dancer, Harikishan is trained in four different styles of Indian classical dance – Bharatanatyam, Kuchipudi, Kathakali and Mohiniyattam. 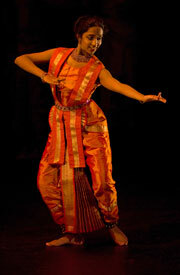 Harikishan trained in Bharathanatyam under the tutelage of renowned Guru Girija Chandran. 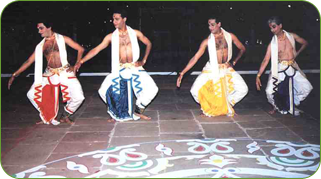 He learnt Kuchipudi under Guru Smt. Geetha Krishnakumar and Guru Smt. Bijula and was trained in Kathakali under Guru Sri Nelliyodu Appu Nampoothiri. His recent dance production was “SAMYOGITA”. Titles awarded -“Natya Shiromani” & “Kalaprathibha”. Harikishan has also performed for major dance Festivals in India and North America and has worked with legends such as Dr. Padma Subramanyam, Sri. Madurai R Muralidharan, Dr. Menaka Thakkar, Lata Pada ,Guru Kohinoor Sen Barat, Sri Janak Khendry, Smt. Uma Murali among others. Harikishan was a part of the major works of Janak Khendry Dance Company since 2013 in Paradise Lost, Women Liberated, Ganga and Thillanswara. KAVITA PATHINATHER was trained in the rich style of Vazhuvoor one of the original forms of Bharatha Natyam at the Kalaimanram Academy of Fine Arts. Kavita is very much interested in the arts and completed her Arangatram in 2002. Since then she has continued to foster her passion by teaching, continuous training and performances. When she’s not dancing she is a successful host for cultural events and the master of ceremonies for community occasions. A wooing and endearing individual with relentless passion to conquer dreams. Restorative by nature, dancing queen for leisure, sales representative in an IT firm for pleasure. KEERTHIKA RAVINTHIRAN has been learning Bharatanatyam since 2003 under the guidance of Smt. Nirainjana Chandru at Kalaimanram Academy of Fine Arts and Yoga. She has successfully completed her Bharatanatyam Arangetram in June 2012 and has attained the title of “Nirutha Niraignar” with the blessings of her Guru, Smt.Nirainjana Chandru, and Chief Guest Mr. Janak Khendry. 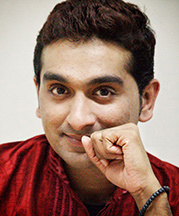 Keerthika joined the Janak Khendry Dance Company in 2013 and participated in KAAL-TIME and GANGA. She has also successfully participated in the “Paradise Lost” and “Women Liberated” production. She graduated from the Interactive Digital Media (IDM) program at University of Toronto, Mississauga. 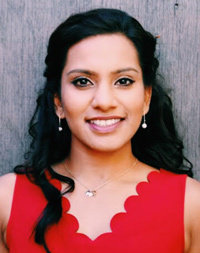 RUGSHA SIVANANDAN Rugsha Sivanandan recently graduated from the University of Toronto with a Masters of Science degree in Epidemiology during the year of 2016. She also graduated with an Honours Bachelor of Science degree in Health Sciences from the University of Toronto in 2014. She currently works as a Quality and Performance Consultant for the Mississauga Halton Central West Regional Cancer Program at Trillium Health Partners (Credit Valley Hospital). Rugsha has also completed her Teacher’s Grade Examination under the guidance of Mrs. Nirainjana Chandru in the classical dance form of Bharatanatyam in 2006 and was entitled the honourable title of “Nirutha Niraignar”. Rugsha performed her Arangetram debut on July 15, 2007 at the Chinese Cultural Centre in Canada. Rugsha was given the opportunity to explore her passion as a professional dancer at Janak Khendry Dance Company since the year of 2012. In 2013, she featured in the company’s major productions entitled “Kaal-Time” and “Ganga” in an international tour to various countries in the Middle East and India. She was also featured in the world premiere of “Paradise-Lost” in 2013 and “Women Liberated” in 2015. Rugsha is also learning Carnatic vocal music under the tutelage of Shri Pon Sundaralingam. ANOJAN SUBAGARAN is 19 years old and learned bharathanatyam under the guidance of Vasu Sinnarasa master. He has been studying bharathanatyam for the past 14 years and also dances hip hop, gaana, contemporary, and more. He has participated in many recent programs such as 2016 Thaalam Gaana dance competition and Prayaag. KALA VAGEESAN: For Kala the passion of dancing started at age of 5 in Sri Lanka where she was trained in dance and music under Guru Nandini Pararajasingam and Guru Arundathi respectively. In 1986 she moved to India to study with Guru Narmadha Aiyakannu Desigan. She also received a diploma in Veena playing. From 1992 to 1996 she studied Bharatanatyam at one of the most prestigious institutions-Kalakshetra, an international institution of dance and music. She performed her Arangetram at Sri Krishna Temple, in Guruvayur, Kerala. After moving to Canada she participated in Menaka Thakkar Dance Company’s productions of Muktinadh and Sitayana. In 1998 she became a permanent member of Janak Khendry Dance Company and has performed Pancha Kalyanaka, Sounds of the Hills, Gayatri, Women Liberated, The Gods are Dancing, Rain of Nectar, Moods of the Rhythms, Upanishad, Tillanswara and Chandrakauns and played the leading role in Ganga. She has travelled extensively with the company in Canada and abroad. Kala has started her own dance academy: Kalai Natyalaya in Canada. JANAK KHENDRY DANCE COMPANY is associated with three dancers in India: UDAY KUMAR, SESHADRI IYENGER, and SATYA RAJU, who collaborate for performances abroad.